When you’re a new mom it’s overwhelming to say the least. Not only do you have a new little life to take care of, but you also have all these gadgets and contraptions to figure out. I’m not gonna lie the installation of the car seat left me scratching my head at first. Then there’s the pressure to make sure everything is perfect (and safe). My goal is to help take away the guess work by providing you with honest and open feedback on products I’ve tested and approved (or disproved). Every parent knows you need a high chair when you have a little one – Hello mealtime – but where do you start?! There are so many brands and options out there and the possibilities are endless. I’m a sucker for reviews, maybe its because I myself review products and place that high when determining what product to go with. 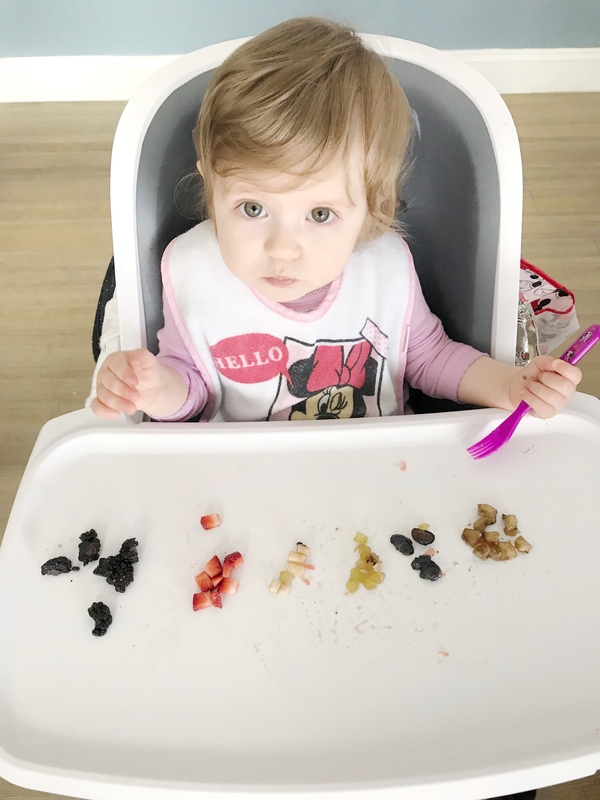 So when I was making the decision to purchase my daughter’s high chair a lot of energy went towards scouring the internet for reviews from parents, like you and I, that have used the products before. That’s where I came across the 4moms brand and I have to say was thoroughly impressed. Not only is the design gorgeous, but the reviews were great and the product itself is packed full of innovative features. The price tag is definitely on the higher side, but the uniqueness of what it’s capable of stands out against its other competitors. I’d say this one falls pretty high on my list, because who loves a mess! I don’t! Does it pass the spaghetti and meatball test, I’d say so! 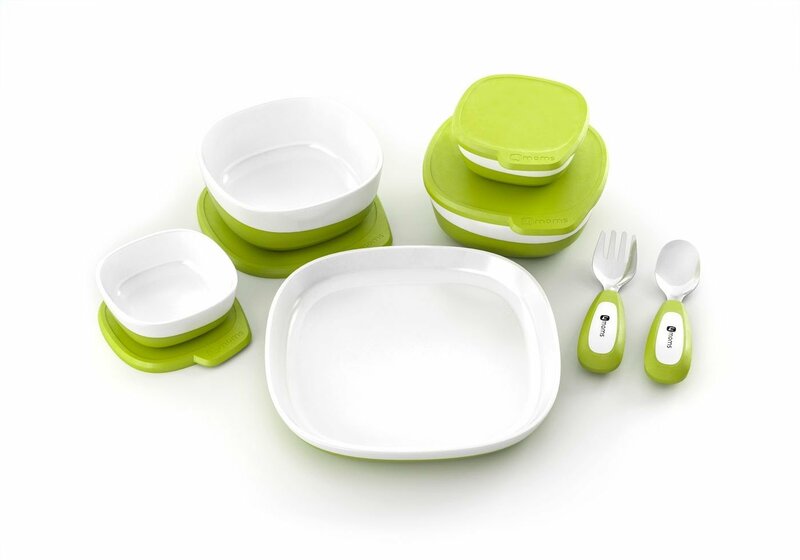 The tray has a removable liner that can be easily washed or even thrown in the dishwasher. As a SAHM, I tend to use both trays – the topper and the under portion it clips to (between breaksfast, lunch, dinner and snack time it’s easier to take advantage of both parts). The cushy foam insert is easily wiped, or can be removed to get any trapped food underneath the seat area. The magnetic tray easily guides on so it’s safe and secure. The button on the front makes it easy to remove. It keeps bowls and utensils within arms reach. 4moms designed a line of magnetic plates, bowls and cuttery. I say genius. Sleek and modern makes this functional product aesthetically pleasing. The height is easily adjustable and the tray is easy to attach and remove! 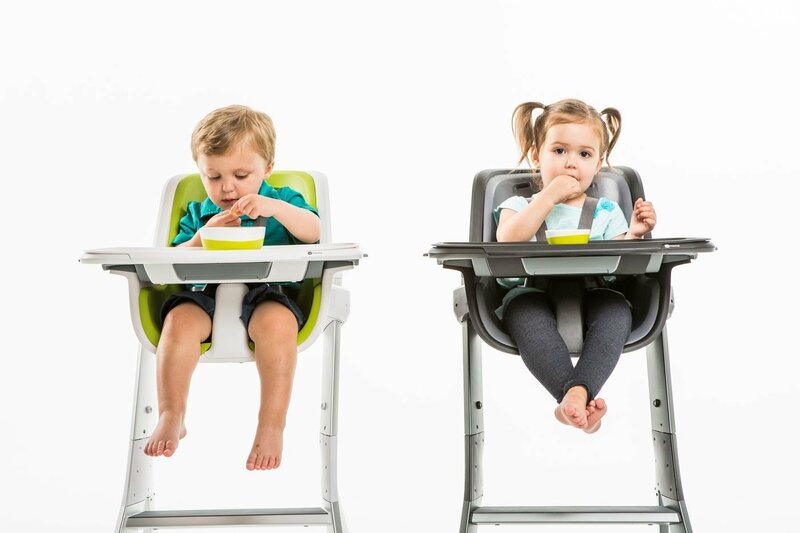 I love that 4moms designed their high chair with some great adjustable features so it can keep up with your child’s rapid growth. 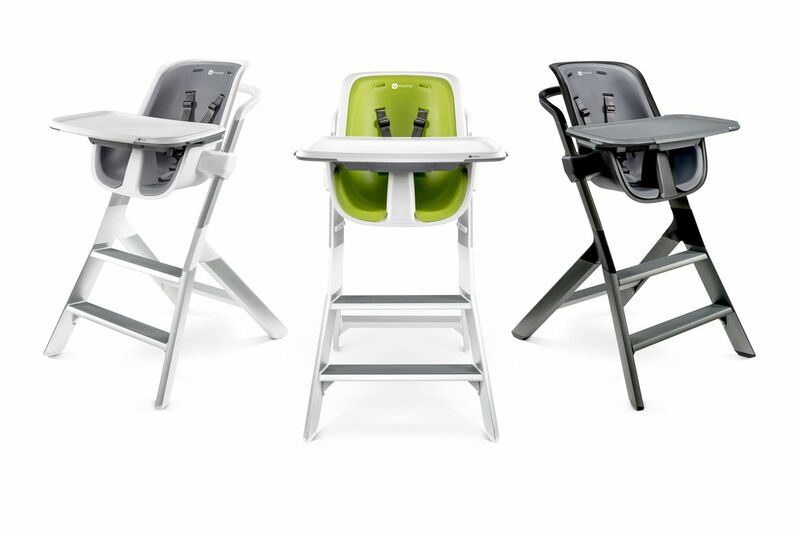 There are 3 tray positions that allow the tray to always be the perfect distance from your little one. The straps transition from a 5-point baby harness to a 3-point toddler harness. The height can also be adjusted to 3 settings as well. The lowest setting allows you to push the chair under the table! Magnetic Trays – ha yes it’s a catch 22, I said I loved them and I did in the early stages, but once she was old enough to feed herself unless you were using the utensils made by 4Moms, any other utensils made it difficult for her to grasp (because they would stick to the magnetic tray) so we opted on using plastic ones during that time! In some ways, 4moms is like the Apple of baby products. They excel in innovation and design and are at the top of their class. Like Apple, 4moms also assumes people will pay a premium for its high quality and style, and so far, they’ve been right. I sure wish they had these years ago when I was a new mom! Love the innovation. Thanks for the review! Love this highchair, I will be getting one now! Thanks for the review. Certainly is a great improvement over the one I had over 50 years ago.